The Mystic Drawbridge is a historic attraction along Route 1 in downtown Mystic CT. 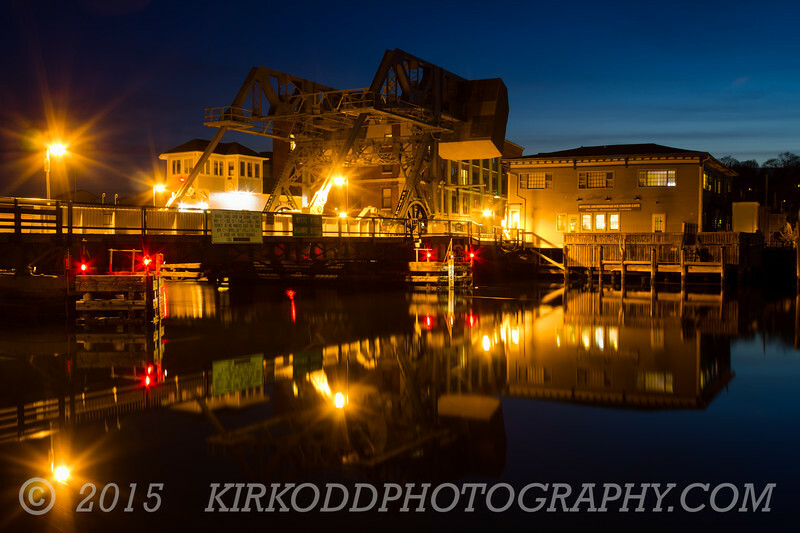 The bridge takes on a warm glow in the early evening, thanks to the old fashioned street lights that line both sides. Here, three long exposures were combined to produce a HDR image that captures the subtle details in the shadows and the mirror image reflection on the Mystic River.